If you are thinking about getting a new truck and are wondering how you might go about financing such an acquisition, the below information is for you. Trucks can be expensive and you might not have the cash on hand to pay for the entire vehicle outright. That is why truck loans are so valuable. 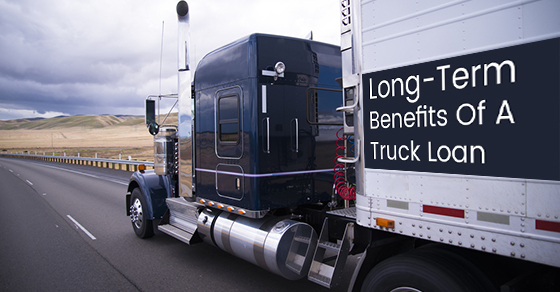 Below are five long-term benefits of a truck loan. You can afford “more” truck than you would otherwise be capable of. A new vehicle often costs between $10,000 to $20,000 and many people don’t have that kind of cash lying around. Financing the vehicle through a loan will let you pay for the vehicle in instalments, which are typically monthly, and you can get a new vehicle instead of having to opt for something older. Buying a new vehicle saves you money. When you buy a newer vehicle with the help of a truck loan, you are getting a vehicle that is not going to break down on you as often, and will therefore require less maintenance and trips to the mechanic, which is ultimately, money in your pocket. You can continue to save money. Instead of spending all of the cash you had saved on the vehicle, you can continue to save money while making your instalment payments. By financing the truck through a loan, you can keep your cash on hand for other purchases, or emergencies that might require some spending. A loan could get you lower monthly payments. If you have a current loan, you might be able to get refinancing, or have the terms of the loan (length, average monthly payments, etc.) changed, which could allow you to do other things with that money in the short term. If you’ve driven the truck for at least six months, it’s often possible to restructure the terms of the loan and free up cash that you can then invest, ultimately saving you money in the long run. It could allow you to start your own business. If you require a vehicle to make a living, then making the investment via a loan might be the smartest thing you ever do. If you need the best of the best in order to make money and keep clients happy, then taking out a loan to help you finance the truck instead of spending all of your cash, or opting for something of lower quality makes a lot of sense. Truck loans are great whether your vehicle is for pleasure, functional, or helps you run your business. They are often flexible and give you a means with which to purchase a quality vehicle when you might not have the cash on hand. Keep the above benefits of a truck loan in mind and walk away with the truck you deserve.